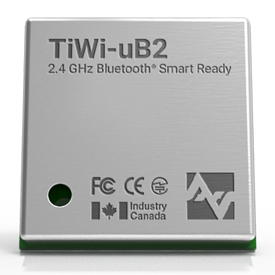 The TiWi-uB2 Bluetooth module is a high performance 2.4 GHz Bluetooth 2.1+EDR and Bluetooth Low Energy - Smart Ready radio in a cost effective, pre-certified footprint. 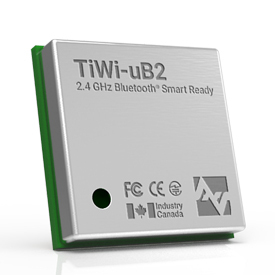 The highly integrated TiWi-uB2 module makes the use of Bluetooth headsets and other applications possible. 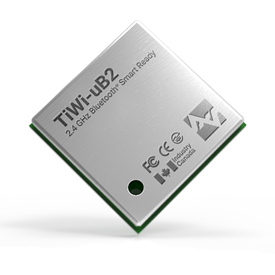 This module fully supports the dual mode Bluetooth and BLE operation, and the output power can support class 1.5. 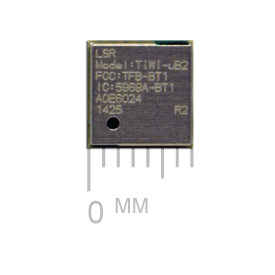 The SIP module provides UART interface/audio PCM interface for Bluetooth through the HCI transport layer. 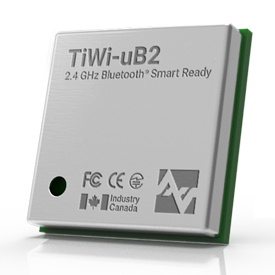 The SIP module is specifically developed for Smart phones and Portable devices.